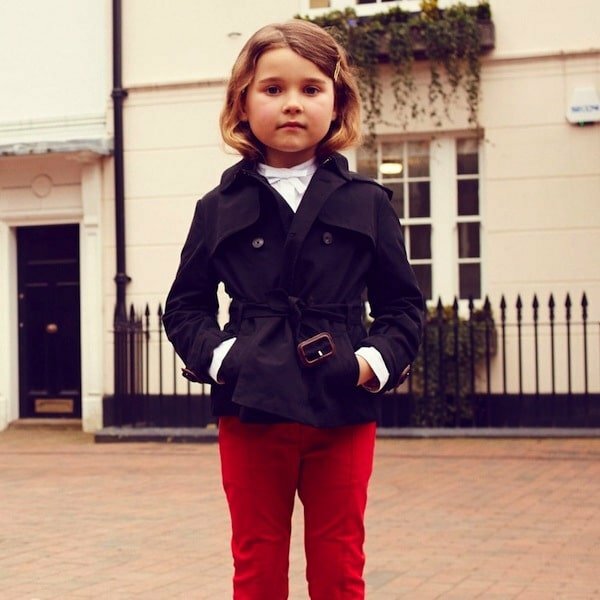 She'll look like a classic beauty wearing this Burberry girls black hooded jacket in the Burberry signature trench coat style, with pleated back creating a pretty girly shape. This gorgeous trench coat has a traditional double breasted front and both the belt and hood can be taken off for several different looks. Completes any look from special occasion to every day wear. Makes the perfect gift. Ships worldwide.